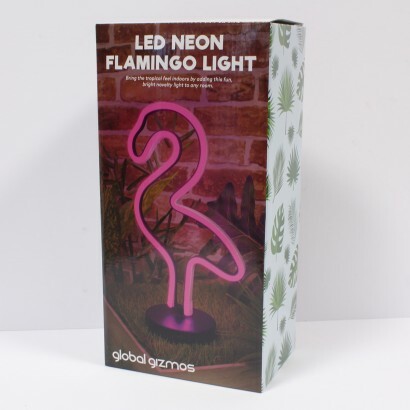 Go all out kitsch with this fantastic flamingo light in retro neon! 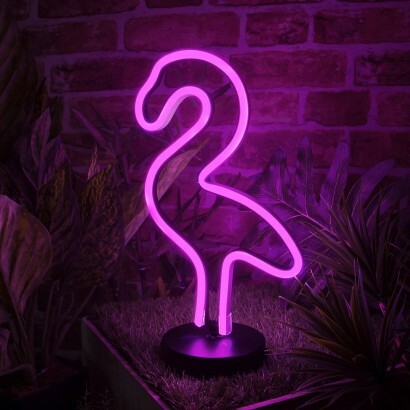 Transform your space into a tropical haven with a vibrant flamingo light and banish the blues with feel good vibes from this kooky LED neon light! Designed to look just like the neon lights of yesteryear, this retro number uses energy efficient LEDs instead so that you get all the impressive effects but the light remains cool to the touch. Battery operated, place this colourful light anywhere and let the luau begin!